Hiring a courier service isn’t just about finding someone who can transport your items from point A to point B. It’s about trust and security. A package may equate to years’ memories, months’ worth of hard work, and even a simple message of “I love you” or “I’ll be home soon” that can complete someone’s day. Filipinos abroad know this situation too well. 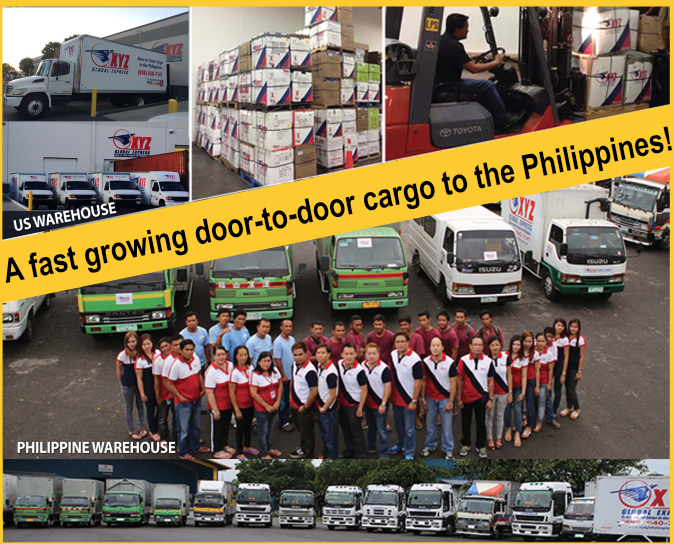 They want someone to treat their balikbayan boxes like their close relatives do – with utmost care – but at the same time, deliver them on schedule. Team XYZ incorporates speed and efficiency in their work but understands sentiment, because they know Filipino-oriented values, you’re assured that they’re aware of your expectations. Our Vision In its mission of becoming one of the leading door-to-door cargo forwarders, XYZ Global Express is ready to render world class, high quality service to the Filipino-American community. The company believes that when diversity is valued and respected, services rendered will ensure customer satisfaction and will guarantee a positive community image for itself.Knowing that diversity and inclusion are critical components of success, XYZ Global Express strives to create a positive working environment for its employees. It knows that by creating a high performing environment, XYZ Global Express ensures that its employees are able to make a world of difference in their everyday dealings. XYZ Global Express is also confident that their main product – Excellent Service – will be able to meet the standards of quality in the industry. By demonstrating a high degree of patience and tolerance, and by ensuring fast and reliable service, XYZ is able to achieve unparalleled success and total customer satisfaction. And because their primary customers are Filipinos from the US, the company understands the importance of values especially when it comes to patience and hospitality. Company Profile For 3 years, prior to it’s opening on August 2013, the people behind XYZ Global Express had been researching, developing and preparing for the challenges that lie ahead. 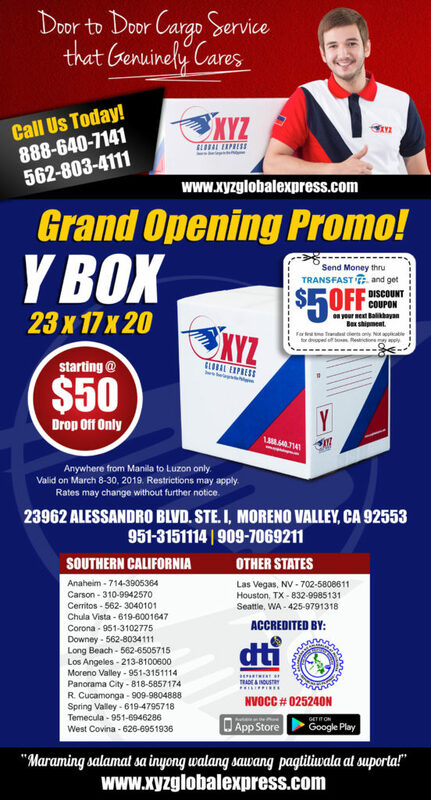 With its main office and warehouse located in Downey, California, XYZ GLOBAL EXPRESS also has branches in Northern California, Las Vegas, Texas, and all over Southern California, The company has plans to expand to other states in the coming years. In the Philippines, the company’s offices are located in Clarkfield, Pampanga. Emphasizing on delivering total customer satisfaction, XYZ Global Express promises to be as efficient as the other companies that are already established in the industry. Maraming salamat sa inyong walang sawang pagtitiwala at suporta!